Featherly Friends As ESAs | ESA Co. Emotional Support Animals come in various shapes and sizes. No, they are not just of the canine variety. This is somewhat confusing because service animals are usually trained dogs to perform a physical function for their owner. In the case of the emotional support animals, or ESAs, the animals do not need to be trained, although they certainly can if you would like them to. So what animal is a perfect fit for you to act as your emotional support animal? I think one of the perfect animals that fits every description is our avian friend. 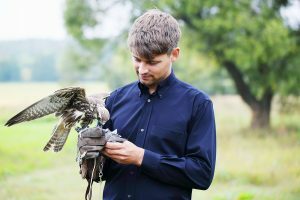 This article is meant to give you facts about birds and how they work as the perfect emotional support animal. So what are the reasons that birds are perfect? There are a tremendous amount of videos online about birds being able to solve puzzles. That isn’t a solo phenomenon. In fact, the National Audubon Society has done extensive research and chronicled have the ability to problem solve. In addition to being able to use high level cognitive skills, they are also able to use tools. In another form of showing their intelligence, they have the ability to count from left to right. If we look at some of the most popular breeds of birds, chickadees, cockatoos, and parrots, have been able to sharply tune their problem solving and mimicking tools. If we need to look at other traits, we have to remember that birds migrate and navigate thousands of miles every years. When looking at a bird in comparison to other domestic animals, such as cats or dogs, we can see how easy it is to care for them. 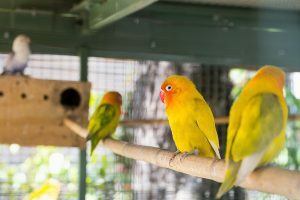 Instead of them roaming freely, maybe tearing some things apart or getting hair everywhere, birds can be left alone in their cage when the owner is not around. Cleaning their cage is pretty simple and relatively less dirty than following your dog with a bag or digging into a litter box. Birds also do not need to be walked up and down the street or house broken to begin with. Have you ever looked at a bird and wondered why it always looks so clean? Well, it is safe to say that birds take good care of their self and are naturally hygienic. 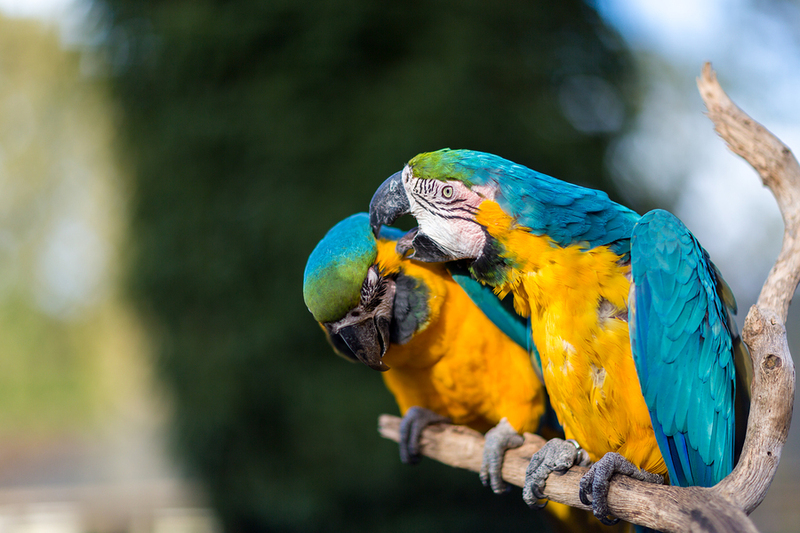 Birds preen their feathers daily, which basically means they use their beaks to clean, shine, and straighten their feathers. So instead of having to chase one of you animals around a few times a week, attempt to put that animal in a tub, buy expensive products, and taking it to get a haircut, you could just trim the nails and give the bird a plain water bath a few times per week. If you think that cats and dogs are the only pets that are cuddly, you are in for a surprise. Birds are social creatures once they are properly taught in socialization. Birds can become inseparable from their owner, accompanying them in everyday life, such as to the grocery stores or the park. If we look back at the first point, about birds being intelligent, a person may train a bird to perform some tricks which could work as a great ice breaker for social interactions. Bird food may be pricey, but it is easy to supplement their diet throughout the day or during feeding time with natural foods. If you have fruits, nuts, or vegetables, your pet bird may greatly benefit from the nutrients contained in these foods. This allows a person to stretch out their normal diet by providing fresh food. Unless you decide to grab a bald eagle or a vulture, neither of which I recommend, birds are content with smaller living spaces. Pets such as cats and dogs need larger areas to roam and play. Birds a much more likely to thrive in confined living spaces. Birds have a much longer life span than other common domestic animals, which means that a bird companion may last you a long time. And it is always a great thing to have a friend for life. If you are looking into an emotional support animal, birds make a wonderful addition to your family.